With our unique roster of makers, designers, collectors, artisans, and chefs, we’re looking to evolve the local shopping scene by bringing some of the most unique and innovative designers to the community. 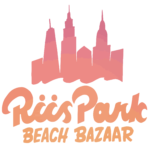 Our team carefully vets each application and hand-selects new vendors based on their ability to represent the Riis Park Beach Bazaar and meet its competitive quality standards. Due to changes in National Park rules we will not be able to accommodate vendors with mobile stores (trucks, trailers or other vehicles) on the boardwalk this season. All vendors must house their wares under a standard 10×10 tent. A cohesive and distinctive design aesthetic that mimics the Bazaar’s overall vision and mission. Brands with an established and professional online presence whose products/services are clearly represented through tasteful photography and web content. A unique selection of inventory that avoids cliched trends and offers various, diverse products to an all ages audience. Affordable goods ranging between $1-$250. Exceptions are made for outstanding products that meet all other criteria. A progressive and evolving product line as you continue to vend with the Bazaar. Products that stand out from others within the same category and contributes to the Bazaar’s mission to be the best shopping destination on a beach. Original and innovative handmade items including clothing & accessories, records, antiques, jewelry, beauty products, home goods, art, packaged, and unique services such as tarot readings. Uniquely curated collections from domestic manufacturers. Vintage goods and rarities produced more than twenty years ago. Business services and organizations with a mission to improve the local community. Vendors are not permitted to sell alcohol, water or drinks of any kind unless preapproved. Please keep in mind that space is limited and spots fill up quickly. It’s important to make your business stand out. Including detailed information and photos of your product(s), links to all online presences (website, social media, etc.) and photos of booth layouts at previous markets helps the team determine if you are a good fit for the Beach Bazaar. Prospective vendors are required to submit an application via this website. If you experience problems with the application please try using a different browser or device. RPBB is a seasonal summer market and applications are accepted on a rolling basis. Due to a high volume of applications, we are unable to accept and respond to all submissions. We encourage all vendors to continue perfecting their trade and to apply 6 months after their initial application date. *20% discount for signing up for the whole season. *If signing up for the season a 50% down-payment is due before the first market on May 26 and the full payment is to be made before July 21. *Prepayment is required to guarantee space. *We do not offer credits or refunds. *Space is limited and we book on a first-come-first-serve basis. CAN I BOOK JUST A SATURDAY OR SUNDAY? As long as you meet the vendor criteria, it is approved by the Market Coordinator, and are both able to fit under a 10×10 tent. CAN I RENT A TABLE AND CHAIRS? 6’x2’ tables are available for rental at the time of load-in and include two chairs. These are available on a first come, first serve basis and must be paid for in cash upon arrival. Vendors are welcome to bring their own tables, carts, wagons, shelving units, clothing racks, or any other creative visual displays as long as they do not exceed 10’ in width or length or 10’ in height. CAN I RENT A TENT FOR SHADE? You are required to bring your own 10×10 pop up tent and to bring sand bags or equivalent to weigh them down. It can get VERY windy! DO YOU OFFER STORAGE ON SITE? Storage is not available at this time. CAN I DRIVE MY GEAR ONTO THE BOARDWALK TO LOAD IN/UNLOAD? Drive-on access is permitted before 10AM and after 6PM, for both load-in and load-out. You will receive this information in advance of your date of participation. A 10’x10’ vendor space along the boardwalk (tables are not included in this fee). WILL THE VENDOR FEE CHANGE? All vendor fees are subject to change at any time. Accepted vendors are required to register their business with the IRS and pay income tax and New York state tax for all items sold while vending with RPBB. Food vendors require additional certification and permitting to serve offsite. We suggest getting in touch with a professional tax preparer, the IRS, or New York Department of Revenue for additional details. Accepted vendors will be sent an email, list of available dates, and an online invoice. The invoice you are sent (emailed) will include a link to pay online. Invoices can only be paid using Paypal as this is the most secure method of payment for all parties involved. Payment may be made with Visa, Discover, AMEX, and Mastercard via Paypal. We do not accept personal checks. ONCE A VENDOR, ALWAYS A VENDOR? Securing a location at the Bazaar does not guarantee your acceptance for future dates. We reserve the right to discontinue a vendor’s residence at our locations at any time. Vendors are required to provide a minimum of 2 weeks notice to cancel. Any cancellations made with less than two weeks notice will not be refunded. RPBB is a rain or shine event but we will notify vendors by 8AM on the day of the event if there is any formal cancellation. We do not offer credits or refunds. WILL RPBB HELP MARKET MY BUSINESS? Yes! The Beach Bazaar is being promoted throughout the spring and summer, 24/7 to a varying demographics of local and foreign visitors. This allows our vendors the opportunity to expose their work and brands to wide audiences while developing new networking connections, gaining media exposure, and making additional sales outside of the Bazaar. Social Media – Select vendors will be featured on our social media channels (Facebook, Twitter, Instagram) and in our weekly newsletter leading up to and during the events. Be sure to include your handles when applying so that we can connect with you. Website – Vendors can submit a high resolution, vertical logo and website link to be considered for the “Vendors” section of our site. ARE THERE SUPPLIES OR EQUIPMENT AVAILABLE FOR RENT? Vendors are responsible for loading out and disposing of their own trash at the end of each day. Yes, some wireless access is available to all vendors. Vendors must have alternatives to wireless POS systems in the event that our system malfunctions; the wifi is limited and service is spotty at the beach! Yes, there several ATMs located throughout the beach.